I Declare that your IT should be a profit point NOT an expense. We can take any company be it 'technology strategic' or 'technology dependent' and increase their annual revenue well beyond the perceptive expense associated with IT. Thus taking what all your competitors view as an expense on their P&L Statements and making IT give back ROI with tangible $$$ . You will see IT as a Profit Point NOT an expense. With DataCare - the Delivery of Downtime Prevention. We do this every day with companies from 10 to 200 employees. But for sake of example, let’s just say Your Company has 45 employees & your Information System has a 99% uptime. With that, I can typically increase your annual NET Profit by $24,000. No Joke. You may ask: "How can hiring you make my business more profit?" The answer is quite simple: 'Numbers don't lie'. If you’re a business Owner, CEO, CFO, Controller or even a Manager, and you care about the $$$ at the bottom line, you will want to listen carefully. Webster defines Downtime as: "Time during which production is stopped." Wikipedia says the term downtime is used "to refer to periods when a system is unavailable." I am referring to when your computer system is not available at its normal capacity. A typical company does anywhere from $100,000 - $250,000 in annual revenue averaged per employee. Company: Hi-Value Professional Service Co. These are sample companies, but my experience is the average annual revenue per employee is $150,000. A Standard Working Year has 2,080 hours. So despite what your employee payroll is, the avg company will generate $72 / hr of revenue per employee. This factor is key because if your system is down, and your employees can’t work, aren't productive, then you’re losing $72/hr per person. THIS IS YOUR REAL IT COSTS! Now we have both Downtime and Per Employee Revenue defined, we can calculate. So you have an uptime of 99% that means 1% downtime. Sample Costs for DataCare: $80 user / month. I haven't even factored in the Unlimited IT Support, ongoing user training, included IT Consulting, Vendor Management and Local Techs who speak to you as a caring human being (in English). Then WHY doesn’t everyone take the money? They can't do the math in a tangible manner, they can’t quantify the value I explained above, or their perception just hasn’t been corrected yet. You say: 'My computer runs fine'. I say: 'What if I could make all your computers, run just as fast and smooth as the day you bought it, for the rest of its life? Would that make your employees more productive? Would that allow your employees to do more work? Would that improve their job enjoyment having their computers happy? I know that some people just won’t get it, and the DataCare program isn’t for everyone. I only accept clients who really want to make a success of their business. If you as the Business Leader don’t want to recover lost expense, increase your bottom line and make a happier work environment for your people, then please don’t contact me. I challenge anyone to prove me otherwise. Either this is hype and my 11 year old company will fail, or I have a method that others truly improve from and you have to decide whether to keep holding back your business or to taste and see. 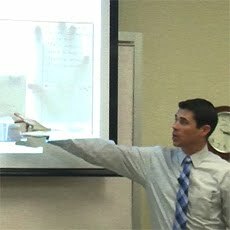 I've spent the last 15 years turning Industry Proven Techniques and my IT Best Practices into profit for my clients. I created a program to manage IT called DataCare. DataCare delivers the ability to always keep you connected to your data, empower your employees, and make your Network Happy! What's the difference between Business and Personal Computers? Internet File Sharing for Quickbooks? Is your IT a Profit Point? or an Expense?